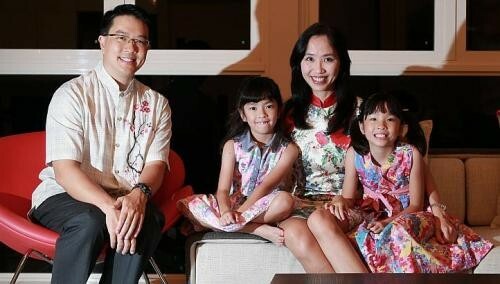 From a young age, Mr Ang Hao Yao, 41, knew that he wanted to make a living out of investing. Thirteen years ago, he decided to live the dream and took the bold step of leaving his job as a loan officer at then Keppel TatLee Bank to kick-start his career as a private investor. "I started investing in stocks with money from my savings shortly after I turned 21," he recalls. "After six years, I felt that I'd a sufficiently good record of making a simple living out of it; and if I committed more time to it, I could probably do even better." However, the decision to be completely reliant on his investment acumen to sustain a livelihood did not sit well with his mother, who was sceptical of his decision. "She'd rather I stayed on in a stable job," said Mr Ang. But after several years of seeing how his wealth had grown through his stock picks and investment strategy, his mother was eventually convinced that it was the right career for him. Fortunately for Mr Ang, his wife Priscilla Lai was a remisier and was more open to his childhood ambition of being a full-time investor. Unlike many Singaporeans, property was never on Mr Ang's mind as an investment strategy. "My dad died when I was 25 and he left me the family house," said the youngest of three siblings. "Since I already had risk exposure to property, I felt that I should put my money into other types of assets." Most of Mr Ang's stock picks are smaller locally based businesses listed on the Singapore Exchange. "I keep an eye out for companies which have been in the business for five to 10 years," he said. "Stocks which are undervalued appeal to me, especially for companies whose market capitalisation is less than the value of the assets, or have a price-to-earnings ratio of 10 and below." Although he specialises in sussing out smaller firms here, Mr Ang doesn't go for speculative counters. He was not affected by the recent penny stock crash, and said the episode is an affirmation of his investment preference. As a full-time investor, Mr Ang keeps track of company announcements every day, attends annual general meetings, actively follows developments on corporate governance and reads up on business news to be aware of what is happening in the market. On average, his investments yield a five-figure dividend per month. I try to save as much as possible without being stingy with my friends and family. Most of my savings are invested in Singapore-listed equities, while the rest are in foreign currencies and gold. I use only one debit card and one credit card. The debit card is used for online transactions which make up a minor part of my spending. The credit card is used for most other expenses including booking air tickets for a family holiday. On average, I charge about $4,000 to $5,000 a month to my credit card. I save and invest what money I have left after accounting for expenses. As a private investor, my portfolio and investments are my financial planning. On average, my investments get me a 10 per cent return per year. I do not purchase any endowment or investment-linked insurance policies. Instead of paying someone to invest my money for me, I believe that I have the skills to get the return I need. My parents often stressed the need for accumulating knowledge and skills, and would pay only for expenses relating to books and enrichment classes. They also believed that it was important to have little or no debt and that one should try and save the entire purchase sum before buying anything, including cars and property. I've followed in their footsteps and have always been cash-positive. I'd grown up watching my dad go through the weekly stock market summary in the papers to check on some of his blue-chip stocks. He was then a chemistry lecturer at the university but taught me the basics of investing. And that exposure to what equities and the stock market were intrigued me since. Shortly after I turned 21, I made my first investment with a few thousand dollars from my savings and income from my temporary job. My late father left me the house in Bukit Timah 16 years ago. In 2007, I bought an office space, where I have meetings and do my "homework" on companies. The unit along Havelock Road cost about $200,000 for the 300 sq ft space. It has about 70 years left on its lease. I rarely buy anything lavish as I view expensive possessions as a liability. However, I did spend about $10,000 on a decorative marble wall feature in my living room last year. I don't have a target retirement age as a private investor; but I hope to accumulate enough assets so that my wife and I can live on the returns of our investments. A two-storey house in Bukit Timah with a land area of over 6,000 sq ft, with five bedrooms and an attic where I live with my mum, wife and two daughters. A silver RX 270 Lexus which I bought three years ago. I need a reliable car as I travel a lot during the day attending meetings and running errands. It is also big enough to fit my family comfortably.